A craft beer and growler refill shop in trendy Lower Clapton. 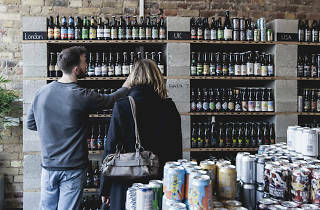 This trendy craft beer shop in Clapton puts an emphasis on growlers, refillable bottles popular among keg beer enthusiasts (read pub landlord Phil Harriss's guide to growlers). 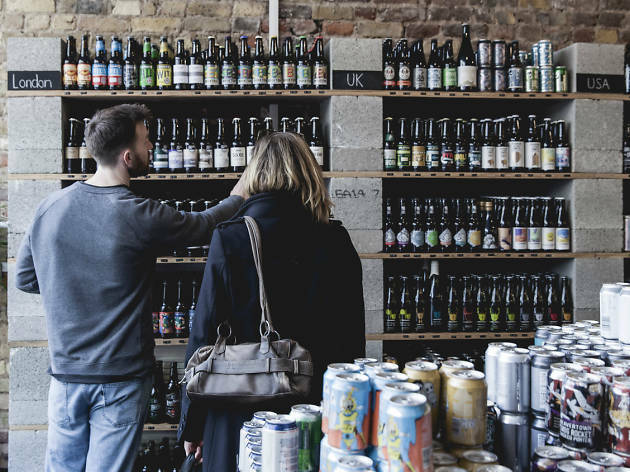 The Clapton Craft shop also stocks a range of craft beers by the bottle, supplied by brewers within the Hackney borough and beyond, including Beavertown, Brixton Brewery and Camden Pale Ale. A craft beer enthusiast's dream. Not only do they stock every hip and trendy ale going, there's so much on offer you'll discover a new fine tasting bottle of booze with every visit. Excellent spot for quality beer beverages. Worth a visit to try new and wonderful alcoholic creations. All you need from a beer shop! Great bottle shop with a wide array of brews, including loads from local London brewers. They also sell a carefully selected group of spirits as well. Best beer shop in East London! Friendly and knowledgeable staff and a truly great range of ever changing beers. Where to start? Friendly, knowledgeable staff, fantastic selection of local and world craft beers, oh - and it's 2 mins from my home. These dudes know a good beer! Friendly staff and i love the refill Growlers.